The Reaction Research Society (RRS) would like to remember Charles Hoult who passed away late last year in November. 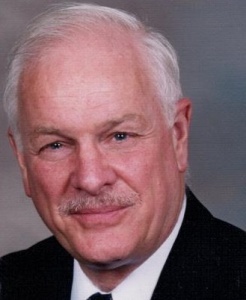 Educated at MIT and UCLA, he began his career in the Air Force working with sounding rockets starting in the late 1950’s until the late 70’s. He worked for Aerospace Corporation and TRW (Northrop Grumman) until his retirement in 2007. In addition to his professional work, he started academic work as an adjunct professor at California State University Long Beach (CSULB) in 2006. He was active for decades in the Experimental Sounding Rocket Association (ESRA) and attended many amateur rocket launches in several countries. One of his lasting contributions is his website with several open-source tools for amateur rocket design. 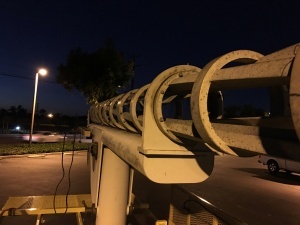 His ashes are to be launched and dispersed into the atmosphere by a CSULB rocket over the ocean at an upcoming Intercollegiate Rocket Engineering Competition (IREC) event in June 2017. Any of our members who have specific memories or even photos of Charles Hoult that they would like to share are encouraged to comment here. On November 14, Osvaldo and I had the chance to meet Robert Kleinberger of Apogee Aeronautics. Robert runs a small engineering company specializing in sounding rockets. 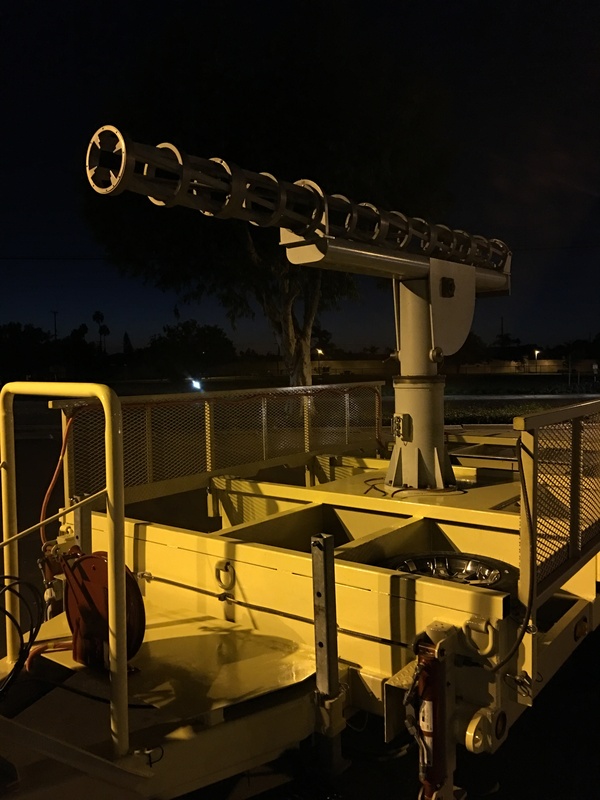 We had a chance to see one of the SuperLoki launcher systems that he had assembled and mounted on a trailer system in Orange County. The SuperLoki is a sounding rocket design that was started in the late 1960’s and were used in the US and other western countries up until the supply was exhausted in the 1990’s. In short, this two-stage rocket system consists of a first-stage solid propellant booster with an instrumented “dart” that coasts up to high altitudes, typically to make upper atmospheric weather measurements. The four-fin booster and four-fin dart are rail-guided to impart a controlled spin for stabilization. 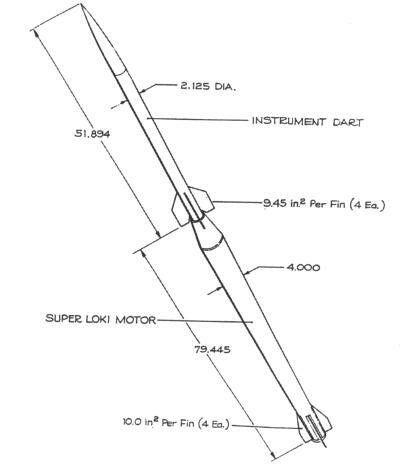 Wikipedia has a fuller article on the subject of the Loki series of rockets including the Super Loki. 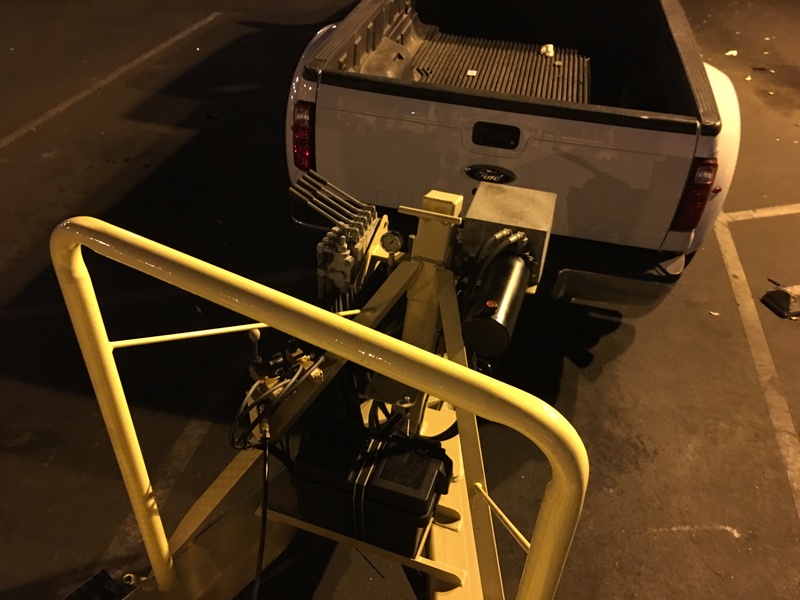 Robert was assembling one of his SuperLoki rail launchers for a client, but ultimately, the launch trailer will reside at the Chico Air Museum in Chico north of Sacramento, California. 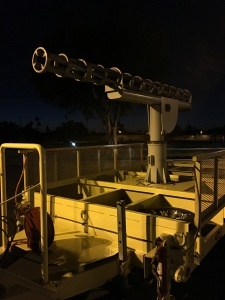 The launcher will be there on display to the public. Although the SuperLoki launch trailer is not yet at the museum, I have put a weblink to the museum’s page. Although he may not make his presentation personally, Robert has put together a series of notes for our upcoming monthly RRS meeting. We’re looking forward to January 13th. Hope to see everyone there.